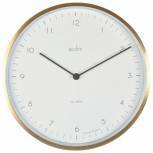 Acctim Aylesbury Wall Clock White 92/301 Pack of 1 Wall clock with modern design. Numbered white dial. Plastic lens to protect clock face. Precision quartz clock movement. Face diameter 255mm. Requires 1 x AA battery (not included). Colour: White. 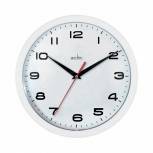 Acctim Orion Silent Sweep Wall Clock 320mm Chrome/White 21287 Pack of 1 Acctim Orion Silent Wall Clock White/Silver 21287. 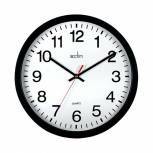 Very Large Bold Classic Quartz Wall Clock. 320 mm Diameter, Glass Lens. Non Ticking Sweep Seconds Hands. Requires 1 x AA battery (not included). 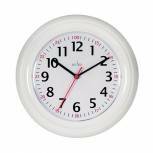 Acctim Wexham 24 Hour Plastic Wall Clock White 21862 Pack of 1 Acctim Wexham 24 Hour Wall Clock White 21862. 24 hour dial. Diameter: 255mm. Requires 1 x AA battery (not included). 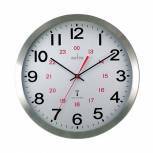 Acctim Parona Radio Controlled Plastic Wall Clock Silver 74317 Pack of 1 Acctim Parona RC Wall Clock Silver 74317. Radio controlled for split second accuracy. Arabic Dial. Red Second Hand. Plastic case. Plastic lens. Dimensions: 230 mm. Colour: Silver. Requires 1 x AA battery (not included). 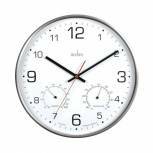 Acctim Lancia Radio Controlled Digital Clock Silver/White 74573 Pack of 1 Radio Controlled LCD Wall Clock ensuring split second accuracy once batteries are fitted. Features: Moon phase, calendar, indoor temperature and trend indicator. H189 x W238 x D26mm. Requires 2 x AA batteries (not included). 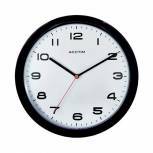 Acctim Aylesbury Wall Clock Black 92/302 Pack of 1 Wall clock with modern design. Numbered white dial. Plastic lens to protect clock face. Precision quartz clock movement. Face diameter 255mm. Requires 1 x AA battery (not included). Colour: Black. 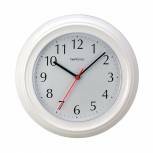 Acctim Wycombe Wall Clock White 21412 Pack of 1 Acctim Wycombe Wall Clock White 21412. Dimensions: 225mm. Plastic Case. Plastic Lens. Arabic Dial. Requires 1 x AA battery (not included). 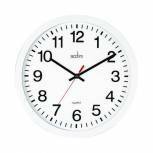 Acctim Supervisor Wall Clock 320mm Chrome/White 21027 Pack of 1 Wall clock with day and date display. Attractive chrome trim with black numbered dial. Domes glass lens. Precision quartz clock movement. Face diameter: 320mm. Requires 1 x AA battery (not included). Colour: Chrome/White. 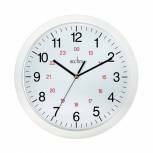 Acctim Metro 24 Hour Plastic Wall Clock 355mm White 21202 Pack of 1 Acctim Metro 14 inch Wall Clock. Red 24 hour display. White plastic case with numbered white dial. Precision quartz clock movement. Face diameter: 355mm. Requires 1 x AA battery (not included). 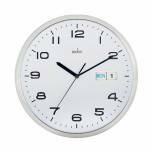 Acctim Metro 24 Hour Plastic Wall Clock 300mm White 21162 Pack of 1 Acctim Metro 12 inch Wall Clock. Red 24 hour display. White plastic case with numbered white dial. Precision quartz clock movement. Face diameter: 300mm. Requires 1 x AA battery (not included). 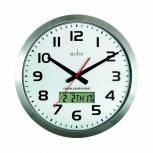 Acctim Century 24 Hour Radio Controlled Clock Aluminium 74457 Pack of 1 Radio Controlled Wall Clock for split second accuracy, once batteries are fitted the clock will automatically set to the correct time. Aluminium Case. Glass Lens. 24-Hour Red Dial. Diameter - 250mm. Requires 1 x AA battery (not included). 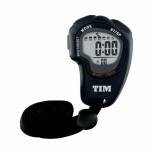 Acctim Olympus Stopwatch Black TIM902B Pack of 1 Acctim Olympus Stopwatch Black TIM902B. High-visibility 3 line LCD display. Split timing and an hourly chime setting. Comes with lanyard and 1 x L1154 battery. W55 x D20 x H80mm. 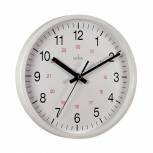 Acctim Bronx 30cm Wall Clock Grey 29457 Pack of 1 A stunning and contemporary addition to any room, this Bronx wall clock from Acctim features a minimalist and easy-to-read clock face. In white, it is contrasted by a grey gloss finish metal case and powered by reliable quartz movement. Grey. 30cm. 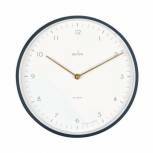 Acctim Bronx 30cm Wall Clock Brass 29458 Pack of 1 A stunning and contemporary addition to any room, this Bronx wall clock from Acctim features a minimalist and easy-to-read clock face. In white, it is contrasted by a glossy brass metal case and powered by reliable quartz movement. Brass. 30cm. 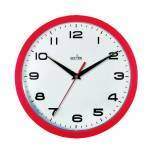 Acctim Aylesbury Wall Clock Red 92/303 Pack of 1 Wall clock with modern design. Numbered white dial. Plastic lens to protect clock face. Precision quartz clock movement. Face diameter 255mm. Requires 1 x AA battery (not included). Colour: Red. Acctim Aylesbury Wall Clock Blue 92/308 Pack of 1 Wall clock with modern design. Numbered white dial. Plastic lens to protect clock face. Precision quartz clock movement. Face diameter 255mm. Requires 1 x AA battery (not included). Colour: Blue. 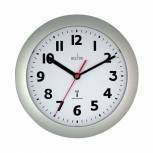 Acctim Meridian Radio Controlled Wall Clock Aluminium 74447 Pack of 1 Acctim Meridian Wall Clock. 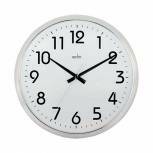 Remote controlled clock for precision timekeeping, time changes are automatically adjusted. 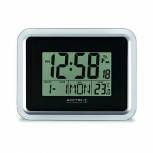 Features digital display showing date and temperature set in a spun aluminium case. (Batteries not supplied). Dia-380mm, Depth-50mm.